Uvea treatment in gurgaon is a highly specialised one for uveitis, a not so uncommon inflammation of the eyes seen with systemic diseases. The service is run by experts with specific experience in this field who have diagnosed and managed a vast array of cases. 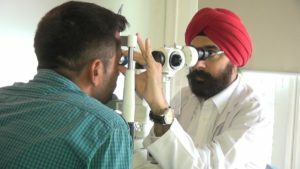 It aims at providing a service par-excellence for the diagnosis and management of uveitis and ensures a thorough workup and ophthalmic evaluation.